The new Brilliance theme is a part of our all new Proposals plan upgrade that will go into effect on January 1st. The new plan has a price increase...however, if you sign up before January 1, you can be grandmothered into our current plan. 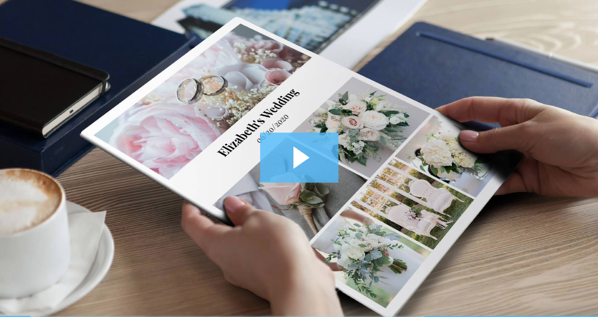 Want to get grandmothered in to the all new Proposals tool AND the Brilliance theme? Get signed up before December 31! You received this email because you are subscribed to Marketing Information from Curate . We’re headed to Pasadena for the 2019 Tournament of Roses Parade that will feature eight Certified California Grown entries! But we couldn’t leave without wishing you a very Merry Christmas and all the best in the new year. Our Field Notes newsletter will be on a brief hiatus for the holidays, but before the break, we just had to share the exciting flower-filled news related to the Rose Parade. 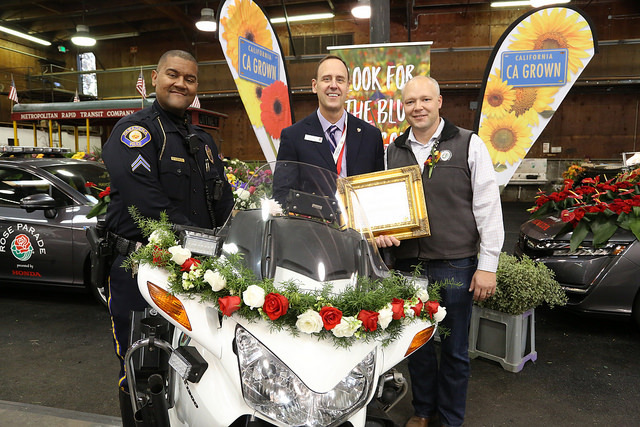 PASADENA, Calif., Dec. 21, 2018 — Entries from Cal Poly Universities, Blue Diamond Almonds, FTD Companies Inc., Wells Fargo Stagecoaches, California Highway Patrol Mounted Patrol Unit, Blue Shadows Drill Team, Mini Therapy Horses and the Tournament of Roses Pasadena Police Department’s motorcycle unit will be celebrated by the California Cut Flower Commission for their efforts and commitment to bringing the tradition of using California Grown Flowers back to the Rose Parade. The eight Certified California Grown parade entries marks a record for Certified entries on January 1. Let's fast-forward to June 30, 2019, the day before theSlow Flowers Summit takes place on July 1st & 2nd in St. Paul, Minnesota. You're invited to participate in our Pre-Conference Farm Toursand Slow Flowers Dinner on the Farm, two fantastic opportunities to learn more about the flora of Minnesota and the people who grow and design with those blooms! First off, we'll spend early afternoon enjoying a lovely and educational visit to Blue Sky Flower Farm, owned by Jon and Rachael Ackerman, Slow Flowers Members who market their flowers through the Twin Cities Flower Exchange. That's followed bour our second tour stop at Green Earth Growers, a women-owned plant nursery, vegetable and cut flower farm where you'll enjoy a tour led by owners Jenny and Jolea, who also market their Minnesota-grown flowers through the Twin Cities Flower Exchange. The late-afternoon tour will be followed by our first-ever Slow Flowers Dinner on the Farm! There is a separate registration required for our Slow Flowers Dinner, an evening of locally-grown food, flowers, entertainment and camaraderie. Tickets are $100 inclusive and you can find details by following the link below. Dinner on the Farm is a farm-to-table production of Monica Walch, founder of the successful culinary event series that takes place each year in the St. Paul-Minneapolis area. It's count-down time for you to take advantage of our Early Bird Pre Registration for the 2019 Slow Flowers Summit! The third annual Summit takes place on July 1st & 2nd in St. Paul Minnesota, co-hosted with Twin Cities Flower Exchange. The Slow Flowers Summit is designed to meet the needs and interests of progressive floral entrepreneurs like YOU -- people engaged in sustainable sourcing, design and business practices. Your registration covers local flower tours, floral demonstrations, participation in creating an interactive, large-scale installation, all meals and 10 inspiring and informative speakers from across the floral marketplace. If you're like me, you might want to drop hints for a holiday-wish list . . . Or, invest in a tax-deductible business expense before the end of the year. The Summit registration might just have your name on it! We can't wait to see you there! Now's your chance to take advantage of Early-Bird pricing through December 31st. We've asked journalist and Slow Flowers contributing writer Mackenzie Nichols to spend the next several months interviewing the amazing speakers you'll hear from at the upcoming Slow Flowers Summit 2019. The second Q&A in this series features a conversation with floral artist Whit McClure of Los Angeles-based Whit Hazen. As the Summit's Capstone Speaker, Whit will present a floral demonstration and share her inspiring Floral Activism message. Authenticity and activism are key values which she brings to her floral studio. The November issue of Florists’ Review, which includes Issue No. 16 of Slow Flowers Journal, features a visit to Italy, as part of the magazine's "Floral Renaissance" special editorial focus. Learn about the many ways Italy's floral artists, flower growers and designers are emulatng the Slow Flowers Movement in their own way. You'll find Debra Prinzing's Q&A with the founders of Slow Flowers Italy and read about the just-announced Slow Flowers International affiliate program, which brings together like-minded groups adopting the Slow Flowers Manifesto in their own countries. Read "Edible Flowers Primer," with list of BEST edible flowers to grow from seed. Read "Pumpkin Mania," with DIY Succulent-Pumpkin Decorating Tips and How-to Projects. Read "Getting Started in Cut Flowers with 15 Top Varieties to Grow," From our Johnny's Seeds article. Slow Flowers member Lauralee Symes, owner of FlowerSchool Portland and Sellwood Flower Co., shares her holiday centerpiece ideas with readers of The Oregonian. "Symes' philosophy: Be inspired by English gardens and the French countryside. Embrace the Slow Flowers movement, which encourages the sourcing of seasonal, locally grown stems, vines, buds and berries whenever possible. Fresh-cut flowers are so much nicer than imported ones, and they will last longer." Our November gallery for Houzz.com features 35 Thanksgiving Centerpieces and Tabletop Floral Ideas, including this beauty, designed and photographed by Slow Flowers member Kailla Platt, Kailla Platt Flowers. #1 -- SHARE YOUR Best Holiday Wreaths and Centerpieces for OUR NEXT Houzz.com Gallery! #2 -- SHARE YOUR STORY IN OUR NEXT JOHNNY'S SEEDS NEWSLETTER Feature! Want to share your flower succession planting strategies? Each month, Slow Flowers produces the Slow Flowers Journal(Print Edition) in Florists' Review. From the first issue in August 2017, we've put a priority on publishing articles about our members and their projects, designs, news. Check out the Editorial Topic Calendar above -- Slow Flowers Journal reflects many of those larger themes in monthly content. But we need to hear from you -- what suggestions, ideas and imagery would you like to suggest? To see examples of our past coverage, check out the online Slow Flowers Journal. Each month's content is posted if you search "Slow Flowers Journal Print Edition." Planning takes place several months in advance, so please suggest topics from April to December 2019. Send suggestions to: debraprinzing@gmail.com. Last month, we joined Katie Lynd, WSDA Regional Markets and Slow Flowers member Beth Mort of Snapdragon Flower Farm in a presentation at the Tilth Conference 2018. Watch the full presentation, "Marketing Your Local Cut Flowers: Consumer Research & Industry Trends," below, courtesy of Tilth. Listeners have downloaded more than 385,000 episodes to date! We're excited about a new weekly feature in the Slow Flowers Podcast that will debut on January 16, 2019. It's called "50 States of Slow Flowers," and that means for each of 50 consecutive weeks on the Slow Flowers Podcast, we'll focus on what's happening in the Slow Flowers Movement, state-by-state -- from Alabama (Jan 16th) through Wyoming (Dec. 25th). There will be lots of love for Canadian Slow Flowersmembers, too -- We'll also feature Slow Flowers news from each Canadian Province during the course of 2019! What a month! We welcome 26 new and renewing members from 18 states across the U.S.
Are you a SUPER MEMBER? That means you're eligible to join the Slow Flowers Ambassador Program! The Ambassador Program rewards passionate members who want to help us grow and expand the Slow Flowers Movement, message, influence and significance in the floral marketplace! When you sign up, you will be eligible to earn future discounts on Membership dues for each new Slow Flowers member you sponsor. You'll also join our Speakers Bureau and serve on the Ambassador Advisory Panel. Eligible to active Premium Members. She loves giving shout-outs to Slow Flowers members, our Podcast guests, our Event Partners and our Summitspeakers. Niesha has more than doubled the followers on @myslowflowers since we teamed up last fall. Karen Thornton is the talent behind the Slow Flowers Summitand I'm so grateful for her counsel, her organizational genius, her strategic planning and her generally chill approach to anything that makes me panic. Slow Flowers is so grateful for the organizations and companies that we have partnered with in the past year. If you're interested in learning more about joining our Strategic Partnership Program, follow the link below and contact Debra Prinzing. We'd love to talk!